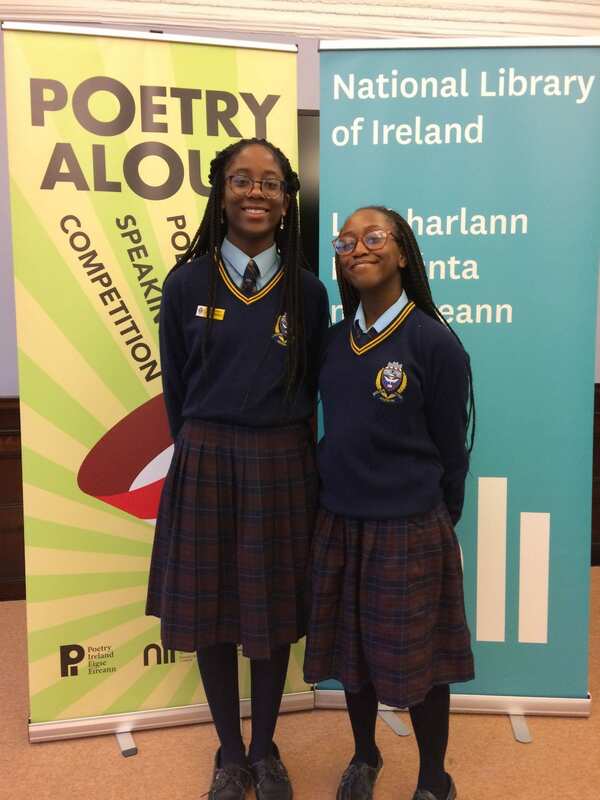 Makua and Stephanie from Transition Year did themselves proud at the National Library of Ireland. They entered the Poetry Aloud competition where both students had to recite two poems in front of an audience of students, teachers and a panel of judges. Both girls did the school proud. Unfortunately they did not progress to the next round but we have no doubt that they will enter again next year and this experience will be a bonus to them.